Since 1957, there have been eight Chinese (including Chinese-born) winners of the Nobel Prize . 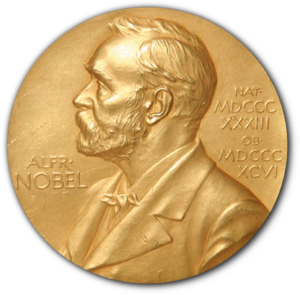 The Nobel Prize is a Sweden-based international monetary prize. 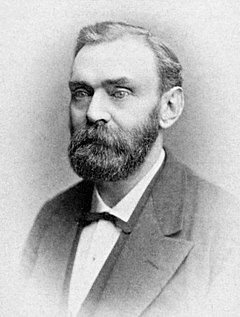 The award was established by the 1895 will and estate of Swedish chemist and inventor Alfred Nobel. It was first awarded in Physics, Chemistry, Physiology or Medicine, Literature, and Peace in 1901. An associated prize, The Sveriges Riksbank Prize in Economic Sciences in Memory of Alfred Nobel, was instituted by Sweden's central bank in 1968 and first awarded in 1969. 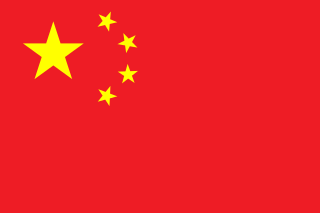 Following is a list of Nobel laureates who have been citizens of the Republic of China or the People's Republic of China  and of overseas birth. 1984 李遠哲 Yuan T. Lee Chemistry 1936– "for their contributions concerning the dynamics of chemical elementary processes" - shared with Dudley R. Herschbach and John C. Polanyi. Shinchiku City, Shinchiku Prefecture, Japanese Taiwan. The following are the Nobel laureates who were uncertain citizenship at the time they were awarded the Nobel Prize. ↑ The Nobel website lists the country of Residence at the time of the award for both the Literature and Peace (if goes to a person) prizes; see "Facts" information of the individuals at and . While the prizes for Physics, Chemistry, Physiology or Medicine, and Economic Sciences are listed by Affiliation at the time of the award; see "Facts" information of the individuals at , , , and . The official Nobel website only lists the country of the person's affiliated insititions for Physics, Chemistry, Physiology or Medicine, and Economic Sciences prizes, and not the citizenship of the person himself. 1 2 "The Nobel Prize in Physics 1957". Nobel Foundation. Retrieved 22 September 2015. ↑ "The Nobel Prize in Physics 1976". nobelprize.org. Retrieved 2009-10-09. ↑ "The Nobel Prize in Peace 2010". Nobel Foundation. Retrieved 22 September 2015. ↑ "The Nobel Prize in Literature 2012". Nobel Foundation. Retrieved 22 September 2015. ↑ "The Nobel Prize in Physiology or Medicine 2015". Nobel Foundation. Retrieved 5 October 2015. ↑ "The Nobel Prize in Physics 1998". Nobel Foundation. Retrieved 22 September 2015. ↑ "The Nobel Prize in Literature 2000". Nobel Foundation. Retrieved 22 September 2015. ↑ "The Nobel Prize in Physics 2009". Nobel Foundation. Retrieved 22 September 2015. ↑ "The Nobel Prize in Physics 1976". Nobel Foundation. Retrieved 22 September 2015. ↑ "The Nobel Prize in Physics 1997". Nobel Foundation. Retrieved 22 September 2015. ↑ "The Nobel Prize in Chemistry 2008". Nobel Foundation. Retrieved 22 September 2015. ↑ The Tsinghai Province was established as early as 1928, and Taktser since then has been a city within its region; see also the 1930 national map of the Republic of China (ROC), and the 1936 political regional map of the ROC in Wikimedia Commons.